The arguments deployed in the latest debate over the aircraft carrier’s place in the U.S. Navy’s force structure have a familiar ring. That is perhaps because they have been very similar criticisms in every carrier debate going back to the 1920’s. While every weapon system undergoes re-evaluation and criticism over its service life, the large aircraft carrier has been the subject of four significant debates in the 20th and 21st century. 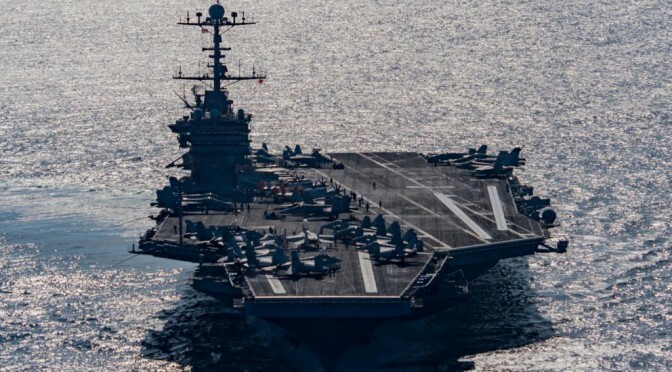 Each has involved questions of the large carrier’s cost relative to the capability it delivers; the range of the carrier’s embarked air wing; and the vulnerability of the carrier itself to threats. In each case, the carrier and its embarked air wing have proved reliable, cost effective ordnance delivery systems in comparison with other naval weapon systems. The carrier’s air wing has at times been deficient in range and/or combat capability, but has upgraded to meet threats. The carrier has always been a very vulnerable type of warship due to the nature of its mission. Decision-makers have repeatedly accepted this vulnerability as an acceptable price for the capabilities the large deck flattop delivers. The present carrier debate has all of these same components, and while not all solutions to the present round of carrier criticisms are not in place, they are in sight and can be achieved. The aircraft carrier replaced the battleship as the principal capital ship of the world’s navies because, “It was far more capable than the battleship of inflicting damage on the enemy.” Some other naval weapon system will eventually replace the aircraft carrier, but that platform and payload combination has yet to manifest its presence on, above or beneath the world’s oceans. The first U.S. carrier controversy dates to the decades of the 1920’s and 1930’s when the carrier first entered the world’s navies in its present recognizable form and in numbers beyond mere experiment. The main concern was that the carrier’s air wing was too weak and short-ranged to prevent an attack by a powerful surface force. A force of battleships and cruisers might travel a distance longer than the range of the carrier’s aircraft under the cover of darkness when carrier aircraft could not then operate. There were also concerns that the first two significant carriers, USS Lexington (CV 2), and USS Saratoga (CV 3), were too large, too expensive (at $45 million dollars a unit without aircraft), and placed too much of the fleet’s air strength in too few platforms. The concept of a hybrid “flying deck cruiser” with cruiser size guns and an airwing optimized for scouting was proposed as an augment to the carrier fleet to counter these concerns. 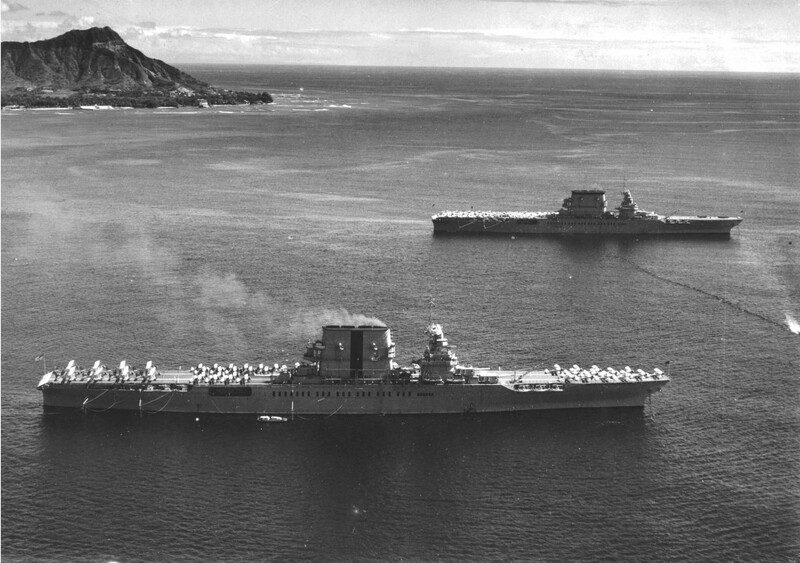 CV-2 Lexington and CV-3 Saratoga. The second carrier controversy began in the immediate aftermath of the carrier’s greatest triumph. The end of the Second World War and with it the navies of the fascist powers caused many to question the need for carrier aviation in what appeared to be a new age of predominately atomic warfare. Notable Army Air Corps (now Air Force) and Army officers dismissed the aircraft carrier as unnecessary in an age of intercontinental aircraft like the B-36 bomber. Army Chief of Staff General Omar Bradley dismissed the “super” (large) carrier as the Navy’s tool to employ long-range bombers, a role already covered by the Air Force. Air Force Chief of Staff General Hoyt Vandenberg said the carrier was of “low military value” and that “land based air power was of far greater military usefulness.” Defense Secretary Louis Johnson, with the strong support of President Harry Truman, cancelled the first postwar “supercarrier” in May 1949 based largely on these Army and Air Force opinions. Attempts by Navy Department civilians to discredit the B-36 before Congressional hearings further damaged the Navy’s case for the aircraft carrier in the emerging Cold War. The carrier survived its second controversy thanks to the Korean War. The conflict on the Korean peninsula demanded close air support for ground troops desperately in need of firepower to drive back larger North Korean formations. This was a mission that the Air Force had generally ignored and allowed to degrade in the aftermath of World War 2. The Navy was used to providing air support to Marine units from aircraft carriers and quickly demonstrated its ability to step up for post-World War 2 “small wars.” Naval strikes from carriers were crucial in repelling the initial North Korean attack and carrier-based Navy and Marine Corps aviators eventually flew 41% of all air combat missions in the Korean War. The carrier would go on to similar strike missions in the Vietnam War and in other U.S. power projection efforts. Even President Truman came around to the carrier’s combat potential and endorsed the Forrestal class super carriers with the first commissioning in 1954. A depiction of the proposed CVA 58, USS United States, which was later cancelled. The proposed Sea Control Ship (SCS) which was later cancelled. John Lehman’s 1978 Aircraft Carriers, The Real Choices came to similar conclusions. Lehman examined seven basic points concerning sea-based aviation including: (1) what should sea-based aviation do? ; (2) what can land-based air do better? ; (3) how vulnerable are carriers? ; (4) how many carriers are needed and what do they cost? ; (5) how essential is nuclear propulsion for carriers? ; (6) what are the practical options for size of future carriers? ; and (7) how will VSTOL technologies affect future air power at sea? Lehman found that sea-based aviation was a useful companion to its land based equivalent in that carrier aviation allowed the US greater geographic freedom to strike targets out of range of land-based air. Larger carriers were less vulnerable (historically) than their smaller cousins. The examples of large carriers surviving significant accidents (USS Forrestal and USS Enterprise) was important to this determination. Enterprise survived the equivalent of six Soviet SSN-3 cruise missile hits but resumed flight operations several hours later. Lehman was also an analyst who contributed to the Sea Plan 2000 analysis that first recommended 15 aircraft carriers as the minimum number needed by the US for both peacetime presence and minimal wartime operations against the Soviet Union. His suggestion for carrier strength of 13-17 carriers as the right number was in keeping with the general Navy assumptions of the time. Lehman, like the analysts who completed the Sea-Based Air Platform study found that nuclear carrier costs over the lifespan of the ship were within 2.5% to 3% those of a large conventional carrier and worth the Navy’s investment. Lehman’s analysis determined a number of significant problems associated with small carriers. Accident rates were significant in smaller ships. Over a 10 year period the smaller Midway class carrier suffered 10% greater flight deck accidents than did the larger flattops. Larger carriers with 4 catapults could also put more aircraft in the air at a faster rate; a capability crucial to defense of the flattop against surprise air attack. 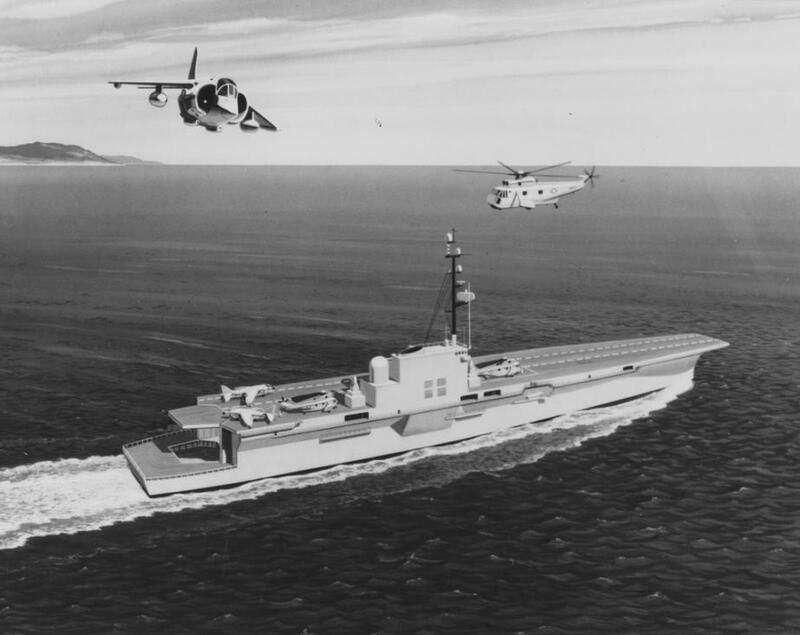 Lehman also suggested that VSTOL aircraft held little promise of further advance and while many could be carried on a smaller aircraft carrier, their utility in high end warfare was limited. Finally, naval intelligence efforts in the late 1970’s and early 1980’s determined that the Soviet Navy likely had no plans to significantly interdict NATO convoys to Europe in the event of a major war. U.S. taps on Soviet naval communications pods revealed that the Soviets most important fleet mission was defense of their ballistic missile submarines based in “bastions” within the Barents Sea. This intelligence confirmed what analysts like Robert Herrick and CNA’s James McConnell had said throughout the 1970’s; that the Soviet’s had a generally defensive naval strategy. This revelation gave further support to the idea that an offensive naval strategy was the best choice for naval conflict with the USSR. An offensive war concept was better suited to large carrier operations than the small flattops conceived to fight antisubmarine and anti-surface battles in defense of NATO resupply convoys. Together the analysis and intelligence work of the late 1970’s and early 1980’s effectively ended the third carrier crisis of the 20th century. The present carrier “crisis” contains many elements of these past examples. As in the 1920’s, the current carrier air wing is too small and lacks the range necessary to effectively strike opponents without facing a significant response. Many assumptions in the wake of the First Gulf War of 1991 suggested that future conflicts would be joint and combined air/ground task force operations against rouge states and non-state actors around the Eurasian littoral. Land-based air support would always be nearby and plentiful. These assumptions, however, should be discarded in a new age where peer competitors and non-state actors exist side by side and carrier-based aviation may be the only component in the air component commander’s arsenal. The budget is again tight as it was after the Second World War and in the late 1970’s. The nation cannot sustain another military buildup funded on debt and no miracle growth in the economy appears certain on the horizon. The other services will fight with equal vigor to keep their own assets and popular social spending programs are hard to curtail, let alone eliminate. The Navy will need creative ways to get more out of the carriers it has. The carrier force must be re-balanced with some regions getting more than others dependent on the availability of land-based aviation. Some carriers could be placed in reserve status in order to ensure that those that remain are fully capable of high-end warfare against peer competitors. The range and strike capability of current carrier-based aircraft is substantially diminished in comparison with its late Cold War incarnation. Today’s carrier air wing boasts 62 aircraft as compared with the 80-90 aircraft wing of the Cold War. The carrier air wing will need to be increased with longer range, manned or unmanned aircraft to return it to the capability of the late 1980’s/early 1990’s. Despite these problems, no one weapon system appears poised to relieve the carrier as the primary U.S. naval offensive component. A mass of missile-shooting ships and submarines is required to achieve the same level of consistent ordnance delivery provided by a large carrier. Surface ship missile shooters may be affected by adverse weather conditions. An increase in the percentage of U.S. strike capability concentrated in submarines could result in equally rapid opponent advances in antisubmarine warfare. It is very difficult to retain technological advantages given the global diffusion of knowledge enabled by the information age. Future naval victories are more likely to depend on superior operational and tactical employment of existing platforms and payloads rather than technological superiority. The carrier remains a flexible, re-configurable platform with significant potential going into the 21st century. The U.S. may have to reduce the overall number of large carriers it actively employs and tailor that presence to specific geographic areas where carrier-based airpower is an advantage. There has not yet been an active demonstration of a superior strike platform/system as there was in the war games of the 1920’s and 1930’s. The large U.S. aircraft carrier will likely survive this fourth challenge to its place atop the naval hierarchy, but it must increase the range and capability of its attendant air wing to achieve this goal. David K. Brown, Nelson to Vanguard, Warship Design and Development, 1923-1945, Annapolis, Md, Naval Institute Press, 2000, p. 39. John Kuehn, Agents of Innovation, The General Board and the Design of the Fleet that Defeated the Japanese Navy, Annapolis, Md, The Naval Institute Press, 2008, pp. 102, 103. 8 1/2 BILLION IS VOTED FOR 1,500 WARSHIPS; House Passes Bill for Great Carrier Force and Escorts, With Battleships Left Out, New York Times, June 18, 1942. Jeffrey Barlow, From Hot War to Cold, The U.S. Navy and National Security Affairs, 1945-1954, Standford, CA, Stanford University Press, 2009, p. 212. George W. Baer, One Hundred Years of Seapower, Stanford, CA, Stanford University press, 1994, p. 328. Paul B. Ryan, First Line of Defense, The U.S. Navy Since 1945, Stanford, CA, The Hoover Institute Press, 1981, p. 14. Congressional Budget Office, The U.S. Sea Control Mission: Forces, Capabilities, and Requirements, June 1977. Frank Leith Jones, Blowtorch, Robert Komer, Vietnam and American Cold War Strategy, Annapolis, Md, Naval Institute Press, 2013, pp. 251, 252. Wayne P. Hughes, Jr., (2002) Navy Operations Research. Operations Research. p. 7. John F. Lehman, Aircraft Carriers, The Real Choices, Washington D.C., Center for International and Strategic Studies, Georgetown University, 1978, p. 11. Christopher Ford and David Rosenberg, The Admiral’s Advantage, U.S. Navy Operational Intelligence in World War 2 and the Cold War, Annapolis, MD, Naval Institute Press, 2005, p. 79. Jerry Hendrix. “The Future of the Aircraft Carrier looks Dim,” War on the Rocks, October 21, 2015. Seems to me could have ‘high-low” force mix carriers and task groups. 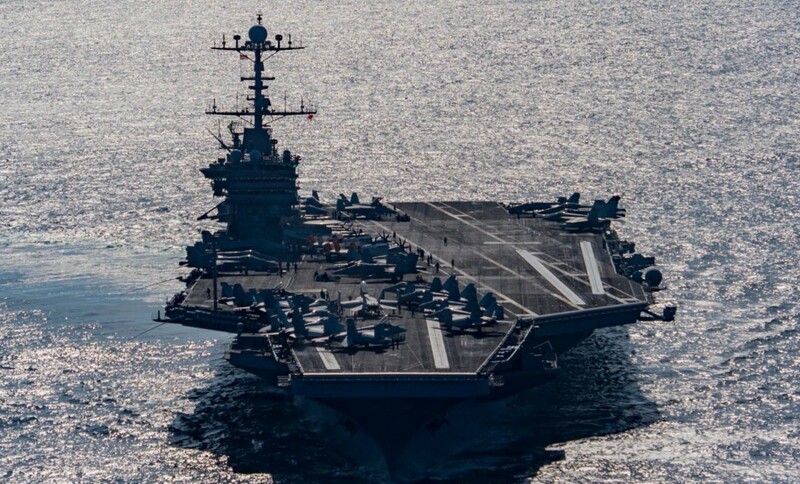 !What would be the system cost-effectiveness/-tradeoffs- vulnerability/survivability of two smaller carriers task groups versus one full sized super carrier and its large concentrarion of ships and sailors in a full scale threat scenario in the Pacific or Persian Golf ? He who has sinned, in this case, cast the first stone. always the grader, John T. Kuehn, Ph.D., Sofft Professor, CGSC and former denizen (two times) aboard USS AMERICA (CV-66). John: See your point; however LHAs and LHDs optimized for Marine Expeditionary Forces versus high-low force mix for sea control.e,g,, Persian Golf Shipping. yearns not years, see, it happens to all of us! Has this blog an editor? Arraying our forces to match the characteristics of the world’s regions seems blindingly obvious, but would probably be a revolution in joint warfare, as parochial as the services are today. Aircraft carriers, like battleships, are most cost-effective in action against other fleets. Using them to attack shore targets puts them up against defenses which are cheaper and usually more numerous. Therefore, a carrier which finds itself trapped within range of land-based aviation is at a severe disadvantage: even if it can survive, it cannot easily strike back. There is no operationally logical reason to put a carrier in the Persian Gulf. Rather, we get the most value by putting our carriers in blue-water areas of the Pacific, Atlantic, and Indian Oceans, and using land-based aviation to strike across narrow seas. James B: See your point: however, US has deployed the Harry Truman to the Persian Gulf , which will be replaced by Theodore Rossevelt. Complex problem, carriers can also complement/augment land based air power. Also, land based depends on the politics and availability of land based facilities. I wasn’t arguing that the USN doesn’t deploy carriers to the Persian Gulf, just that it is stupid from an operational perspective. A carrier inside the PG is trapped too close to the enemy and cannot use its key advantage of mobility to get outside the range of land-based defenses. Perhaps the Navy should be allowed several squadrons of LRS-Bs to sling anti-ship missiles. It would help to close the air wing range gap in the short-medium term, and possibly mitigate a carrier shortage. Granted the USAF would whine, but it would ensure aircraft availability to support maritime action. Historically, land-based air forces that were inclined to execute anti-shipping roles were pretty good at it. The reason the USAF has never been keen on the role is that their existence is based on independent airpower, so going to work for the Army or the Navy threatens their bomber-centric worldview. On those occasions that the Air Force was inclined to strike ships or lay mines, they did a pretty good job. If, as the article says, that lifetime operating costs of a nuclear carrier are within 2.5 to 3.0 % of a conventional carrier, why not build conventional carriers, which can be constructed MUCH more quickly and with MUCH less red tape? Given their huge displacement, (100,000 tons), an oil fired carrier still has immense range; able to cross the Pacific and back, and then some without refueling. Invariably, the carrier debate assumes each expensive super-carrier is vulnerable to current or future weapons that can be fielded on the cheap. With a thousand Chinese DF-21 missiles arrayed against a single Asia-based U.S. carrier, it is argued that the solution is smaller carriers and more of them. But even doubling or tripling our carrier hulls in smaller sizes would still invite hundreds of enemy missiles instead of a thousand. Same result. There’s no genius in abandoning a smaller ship one minute later than a larger one. And with further missile advances, all naval vessels will be as fat a target as a super-carrier. This same vulnerability could befall our elite and pricey aircraft, so this is not a “Navy doomed, Air Force wins” argument either. It’s time to acknowledge that for decades U.S. naval aviation has been brought to bear against inferior low-tech enemies with limited counterpunches. (Air Force as well.) Count the theaters: Korea, Vietnam, Libya, Grenada, Panama, Somalia, Balkans, Iraq, Afghanistan. You get the idea. We tend to avoid wars against peers and wage them against paper tyrants. And so the super-carrier offers a full service, multi-mission, high profile, intimidating, mobile platform to do so, whether it’s war or peaceful humanitarian assistance. Bombers can’t respond to typhoon victims, air bases are not mobile, and submarines don’t visually intimidate. TMark: See your points.,Ship/Carrier Task Group(s) anti-missile air defense kinetic weapons and electronic/decoy countermeasures need to keep pace with the diversity ot missile threat scenarios (from sea skimmers to long-range vertical dive from high altitude). Star Wars anti-missile beam weapons have been in development for decades, with limited prototypes being tested. Hopefully, such advanced weapons and platforms will help solve the carrier air defense problem ?